Award-winning director Siri Bunford has managed a career allowing her to shoot everything from documentaries to promos to commercials. As a former editor she has a wonderful eye for a story, and is equally at home shooting celebrity footballers and ‘A’ list stars as she is with real people, actors and kids. In 2001 Siri began directing at Channel 4, finishing her time there as a Creative Director at 4Creative. Her iconic spot, ‘Stanley Kubrick’, a 60 second steady-cam shot with no cuts, recreated the set of The Shining, winning a coveted yellow pencil at the D&AD awards. It also received a BTA Diploma award. Siri has been awarded 15 Gold Promax awards for her various commercials and promos for Channel 4. Siri is constantly in demand as a commercial director, and was this year shortlisted in AdAge's Top 5 Directors in the World. 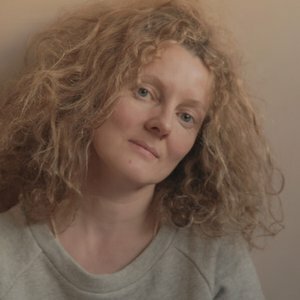 She has directed spots globally for a plethora of brands including HSBC, Nike, British Airways, and Waitrose, and with agencies such as BBH (London & Singapore), W+K (London and Shanghai), Droga 5, Mother, Havas and JWT. In 2013 her film ‘Mr Sun’ for Nike China won a Silver at the Spikes Asia Awards and was nominated for a People’s Voice Award at the Webbys. Recent commercial campaigns include Google's Superbowl spot via 72andSunny LA, a round-the-world- documentary extravaganza for Finlandia Vodka, and the new brand launch for Sainsbury's - both of which made with W+K London.